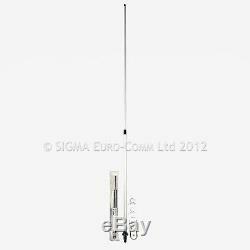 SIGMA X-200 2M 70CM DUAL BAND BASE ANTENNA Works with ICOM KENWOON YAESU This high quality compact antenna is light in weight but high in performance works with all 2 meter and 70cm radios up to 200 watts. Uality VHF / UHF Dual band base antenna with radials. Frequency 144 / 430 MHz. Gain Max 6.5 to 9.5 dB. Radials 3, length 520 mm. Comes with all fittings and brackets. P LEASE NOTE THAT CARRIAGE COST IS BASED ON UK MAINLAND ONLY. ALSO, SOME SCOTTISH HIGHLAND POSTCODES ARE ALSO EXCLUDED. CUSTOMERS FROM ISLANDS AROUND THE WORLD E. BALAERICS, CANARIES, COUNTRIES NOT CLASSED AS AMERICAN MAINLAND, EXTREMELY REMOTE AREAS ETC. 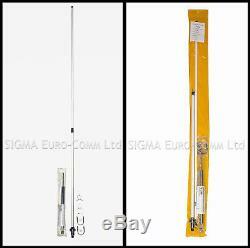 The item "SIGMA X-200 2M 70CM DUAL BAND BASE HAM ANTENNA 4 ICOM KENWOON YAESU ALINCO" is in sale since Wednesday, August 22, 2018. This item is in the category "Mobile Phones & Communication\Radio Communication Equipment\Antennas\Ham/Amateur Radio Antennas". 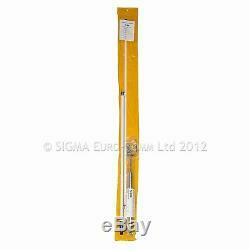 The seller is "sigma-4-antennas" and is located in Birmingham, West Midlands. This item can be shipped worldwide.